For the last few months of 2016, I was using a mini Happy Planner™ for my social media needs. In that planner, I planned things for my Instagram account (@kellofaplan), Design Team projects, and for this blog. However in December, I opened by Youtube Channel. With the addition of the YouTube channel, the mini planner just wasn’t big enough anymore! 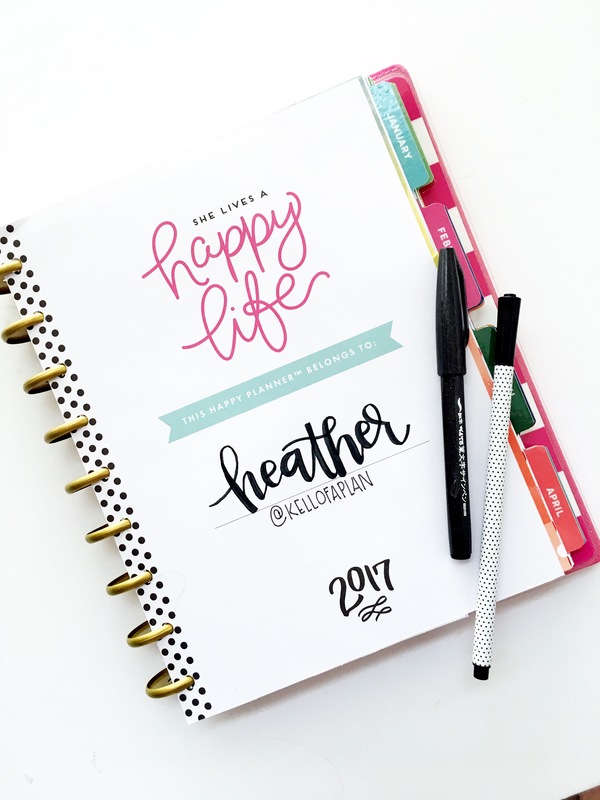 So I have officially moved into a classic sized Happy Planner™ and I am so excited for the change! 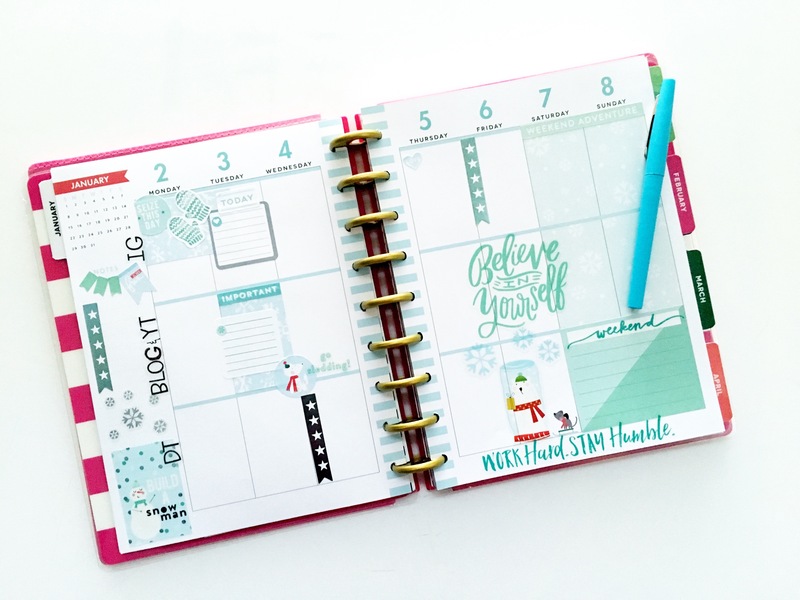 I chose the Seasonal Happy Planner™ because I think it is so cute! Plus it already has a lot of decor in it, so it won’t need a lot of decorating each week. WIN for me! This is my title page for this planner. I used a Pentel Brush Sign pen to brush letter my name. I added “@kellofaplan” underneath since that’s what most people in the social media world know me as! I am going to be using the “Currently” pages in this planner a little differently than normal since it’s going to be strictly for my social media needs. I covered up the “currently” section with a pocket page card and added a cute mambiSTICKs sticker on top. It says “Do all the things”, which I thought went pretty well with what I will be planning in this planner! Under the goals, I wrote out one monthly goal for my blog, YouTube channel, and Instagram. In the doodle section I just added another cute mambi sticker. I’ve decided that in the “Birthday” section of this planner I am going to track the birthdays for my fellow Design Team members! However, none of them have January birthdays, so I’m just tracking my normal January birthdays. Finally, I used the new alphabet sticker pack to write out “STATS” on the bottom right side. On January 1 I will write down how many followers I have on IG and subscribers on YouTube. Then on the 31st, I will write the new number down. I like to be able to track how my accounts are growing and this is a fun and easy way to do that! I am excited to try this new way of using the “currently” page! For my monthly view, I didn’t add much decor. On these pages I will continue what I’ve been doing in my memory planner since July- and that is printing a 1.4″ picture from Instagram every day and placing it on the coordinating day. I love looking back at my favorite pictures from each day, so I’m excited to continue that here. I also added the two quote stickers because I thought they were very fitting to start the new year off with! Here is an example of my Social Media spread “Before the Pen”. I divided each row into a different aspect of my social media life- Instagram, Blog/YouTube, and Design team. I am really excited to try this layout out and see if it works for me! This planner is going to be a pretty functional planner- things that need to get done!- so I’m not sure how decorative it will be as the weeks go on. I love the quote that I added on Sunday though- “This is where the FUN stuff happens”- because I want to constantly remind myself that I do these things for FUN and not to get too bogged down or stressed out about them! And here is another “Before the Pen” layout for the second week in this planner. This one is a little more decorative than I will probably do most weeks, but I really wanted to use all of my “snow” type stickers here! I think it turned out super cute. Here is an example of what this planner looks like after the pen. This is the first half of my spread filled out. As you can see, it’s super functional. Lots of things to get done every day! I hope that I can keep this much up and going once I return to work next week. Fingers crossed! 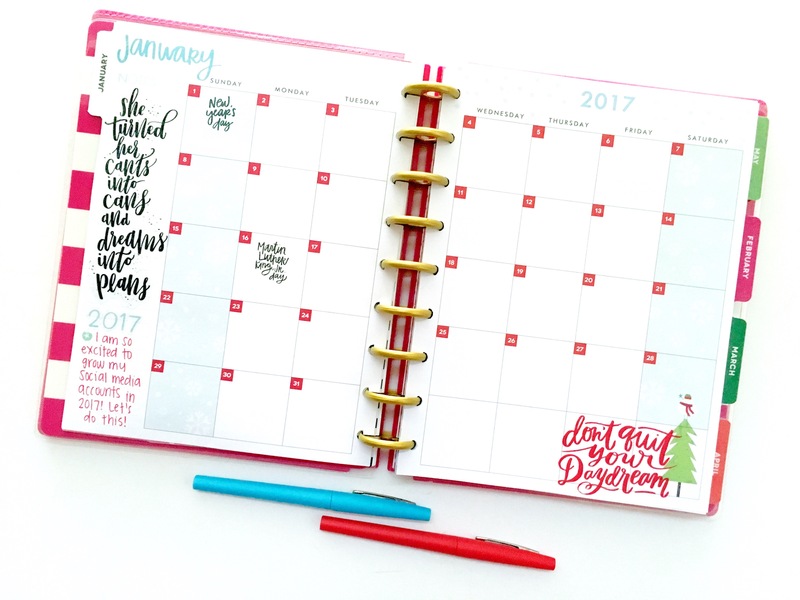 Are you using a planner to plan out your social media accounts in 2017? If so, I’d love to see how you have yours set up! Leave me a comment below or tag me on IG so that I can see! Super Cute! 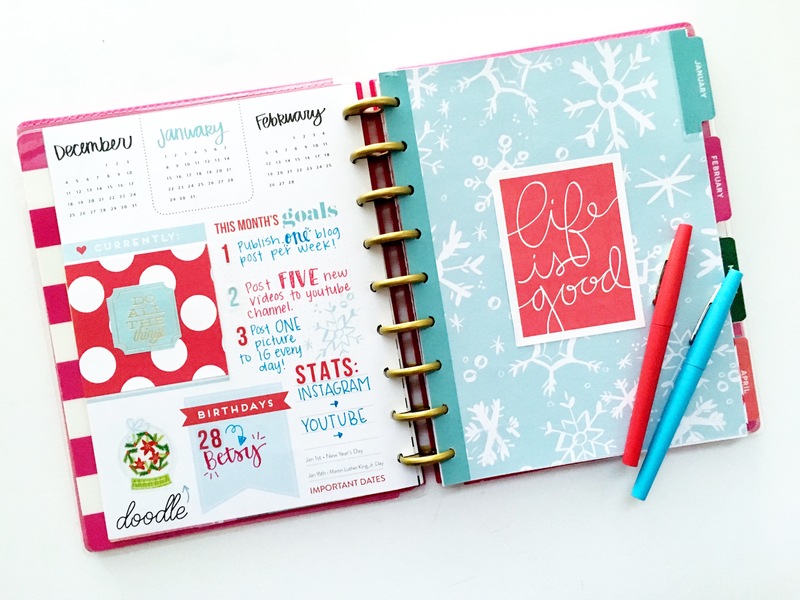 My husband got me this Happy Planner kit for Christmas and I love it! You never showed how to decorate the botanical gardens planner.